Guest Speakers Archives - Page 4 of 10 - E.Y.M. Here’s the information you’ve been waiting for! My next book study will be focused on Dr. Sara Langworthy‘s Bridging the Relationship Gap: Connecting with Children Facing Adversity book. I realize that some of you may be new to the idea of an online book study. Don’t worry…there are no prerequisites for participation. Everyone is welcome and I’m so glad that you’ve stopped by! Do join us, won’t you? And please, spread the word! Share with a colleague, mentee, or friend. Consider hosting a staff/organization/state book club- read individually (chapters and online expert commentaries) then join together for discussion…sounds delightful! Participants will read the chosen book chapter and then visit the private learning community (paid participants only) for weekly guest expert commentary to further their thought-process, dialogue, etc. Follow along by using the Book Study Timeline (below). You may check in at your convenience. You are also invited to participate in the weekly dialogue by commenting below each post. Your experiences and perspective will help others on this journey. The profession needs your voice! Because this is an online study, the commentary will be available at a later date should you get behind. Yes. Paying participants ($30) will have full access to the guest expert commentaries, author, and private Facebook learning community with extras! Non-paying participants will have limited access on the blog. **Minnesota participants seeking training hours through MNCPD/Develop and those seeking a training certificate are required to register and pay $30 prior to receiving hours/certificate (6 hours). Is this a timed study? Is there a deadline to begin? This is a self-paced study. You may begin at any time! Decide on a pace that works for you. Click on the chapter to access the guest commentary that coordinates with said chapter. Click the name to learn more about the guest expert. (Please note that the chapter links below are to the limited guest expert posts. Pay by visiting the top-right of this blog and click the Paypal icon under Pay for Bookstudy for full access to private posts and extras). Sara Langworthy, PhD, works for the Children, Youth and Family Consortium at the University of Minnesota Extension. She is an expert in brain development research and enjoys developing creative ways of bridging gaps between the worlds of research, practice and policy. Dr. Langworthy served as a content expert for Wonder Years: The Science of Early Childhood, an exhibition at the Science Museum of Minnesota. In her current work, she is collaborating on a partnership with an elementary school in Saint Paul, MN to create trauma-sensitive learning environments to promote student resilience and learning. She creates educational videos on the science of child development on her YouTube channel, Developmental Enthusiast, and is co-founder of the organizational consulting firm, The Exchange Loop. Sara lives in Saint Paul, MN with her husband Jason, and two dogs Bingley and Kaylee. Relationships play an important role in human development, especially in the first years of life. Bridging the Relationship Gap provides tools and encouragement to be the strong, positive, and nurturing adult these children need in order to thrive. Learn more about the factors that contribute to the achievement and relationship gap including ecological, biological, and cultural differences. Most importantly, find many tools and resources to help you more effectively deal with the tough situations and become each child’s strongest ally. Softbound, 200 pgs. Age focus 0–8. Visit www.drlangworthy.com for more resources on the science and practice of building resilience in children facing adversity. *The Enhancing Young Minds Blog Book Study, Beyond The Pages (Langworthy), will begin Feb. 1st! What makes it unique? It’s open to educators, providers, parents, and anyone whose decisions impact young children. There are also guest content experts who will lend their voices to facilitate each week’s discussion! It is my genuine hope that this book study intrigues individuals, serves as inexpensive professional development, provides access to resources otherwise not attainable, and encourages meaningful conversations. Learn. Love. Lead. Learn more HERE! Car crashes remain the leading cause of death and injury for children under 14 years of age, according to the Centers for Disease Control and Prevention. But many of those injuries and fatalities can be prevented if we follow best practices in passenger safety. Heather Darby, coordinator of passenger safety for the MN Department of Public Safety – Office of Traffic Safety, joins Marti & Erin for an important conversation about proper use of car seats, how to know if shoulder straps are providing the protection they should, why airbags pose a danger for children under 13 and how heavy winter clothes can compromise the effectiveness of seatbelts and car seats. Heather also helps Marti & Erin think about how to explain that a 12-year-old is safer in the back seat even if she’s the same height as Grandma! What are the ages of your children and what are the laws and best practices for keeping them safe in the car? What other adults drive your children and how well do they understand passenger safety rules and recommendations. To locate a Minnesota car seat check near you, click here. For a Guide for Child Passenger Safety Seats and Seat Belts, click here. For the Buckle Up Kids brochure, click here. To visit BuckleUpKids.mn.gov, click here. Jolene Pearson, Ph.D., IMH-E® (IV), holds a Ph.D. in Curriculum and Instruction from the University of Minnesota. She earned a B.S. degree from the University of Minnesota in Child Development, and an M.S. degree in Early Childhood from Wheelock College in Massachusetts. Jolene is an Associate Professor and the Director of the Early Childhood Education program at Bethel University in St. Paul, Minnesota. She has been an adjunct faculty member and instructor at the University of Minnesota, the University of St. Thomas, and St. Cloud State University, teaching courses in parent education, infant mental health, and early childhood special education. Dr. Pearson is a certified Neonatal Behavioral Assessment Scale examiner and holds licenses in the fields of Parent Education, Early Childhood Education, and Early Childhood Special Education. Jolene authored and has taught the CEED online courses Parent-Infant Pathways: An Educator’s Guide to Providing Information and Support to New Parents and Premature Babies and Their Parents: Information and Insights for Early Intervention Personnel. Her new book (2016), published by Zero to Three, is entitled: Pathways to Positive Parenting: Helping Parents Nurture Healthy Development in the Earliest Months. I had the opportunity to ask Dr. Pearson a few questions about the book to bring you a closer look at this wonderful resource. TUNE IN HERE! *FREE for ZERO TO THREE members! This month, we continue our “Passport to Flavor” series that explores different cultures and their food traditions. We hope you find this information useful in your work with children and families from various cultures, as well as a source of ideas on how to teach children about other cultures. Our second guest blogger is Shirley Vang, a SNAP-Ed educator with University of Minnesota Extension who will be sharing her perspective on the Hmong culture. Hello, my name is Shirley Vang. I have worked for Extension for two years. I was born and raised in the United States, but my parents are from Laos and Thailand. Growing up, I ate foods from their homeland as well as American food. I grew up eating the best of both worlds! One of my favorite foods from the Hmong culture is Boiled Chicken with Tofu. It is made from chicken, tofu, lemon grass, salt, pepper, and chicken broth powder for flavoring. 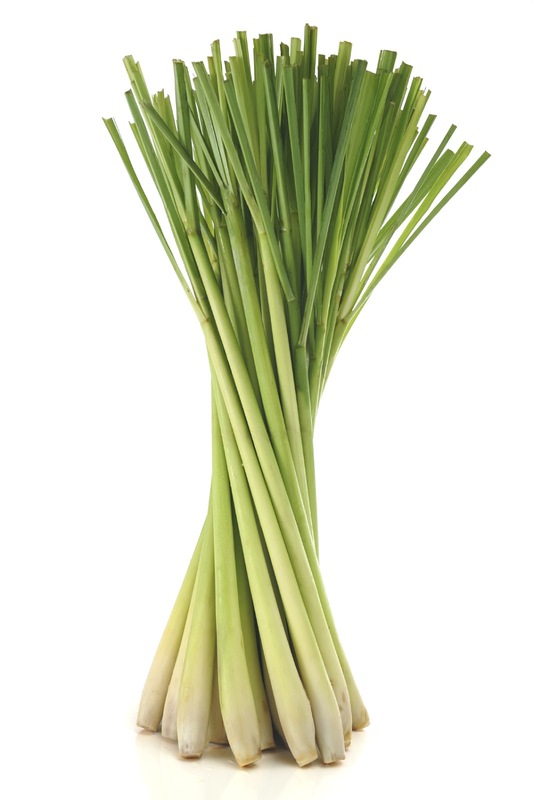 Lemon grass is a common herb used in Hmong cooking. It can be purchased at Asian grocery stores. Rice and hot peppers are staple foods in the Hmong culture. Typically we have rice in one bowl and Thai chili peppers in another. We eat rice at every meal — breakfast, lunch, and dinner. Hmong women follow a chicken diet for the first 30 days after a baby is born. The diet consists of herbs in soups. The herb bundle used in the soup is called Tshuaj. The exact herbs vary depending upon family customs and what is available. Usually herbs used in Hmong diets are not available in conventional American grocery stores. They are mostly grown in backyards and on patios of most Hmong homes. You can also find them at Hmong farmers markets. Ingredients for the chicken diet. 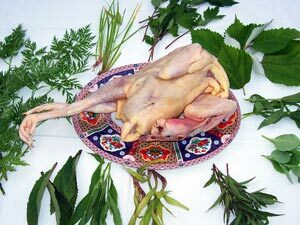 Ingredients for the chicken diet typically include one whole fresh chicken (purchased from a Hmong market or farm) boiled in water with lemon grass, salt and black pepper, and a variety of Hmong herbs such as Hmab ntsha nstuab (slippery vegetables), Koj liab (angelica, sometimes called duck feet-herb), Ntiv (sweet fern), and Tseej ntug (common day flower). The Hmong people don’t have a country of their own. A lot of the elders in Minnesota are from Laos or Thailand, but they are not considered of Lao or Thai heritage. Not every Hmong person can read or write in Hmong and not every Hmong person can speak in Hmong. Adults that speak Hmong may be willing to teach you a few Hmong words that you can teach to children in your care or classroom. Hmong people in the United States celebrate the American Thanksgiving. How a Hmong family celebrates Christmas depends on their faith traditions. The Hmong New Year is not a specific day of the year. Typically it is held in November or December, depending on the community. St. Paul has a large Hmong New Year event each year at the RiverCentre. Put pictures up of different types of Hmong foods in a classroom to create awareness of food differences and to create an inclusive environment. Show an interest in Hmong students’ cultural foods. Ask parents about traditional Hmong foods. Teach students about a variety of cultural foods. Consider doing a photo show and tell, and have children bring in a picture of a traditional food they eat at home. It’s never too early to introduce children to new cultures. Sampling foods and playing games are fun ways to teach children about other cultures. Lychee is a traditional Hmong fruit. You can occasionally find fresh lychee at an Asian grocery store. To eat a fresh lychee, you must peel the tough outer peel. You can find canned, ready-to-eat lychee in most grocery stores. 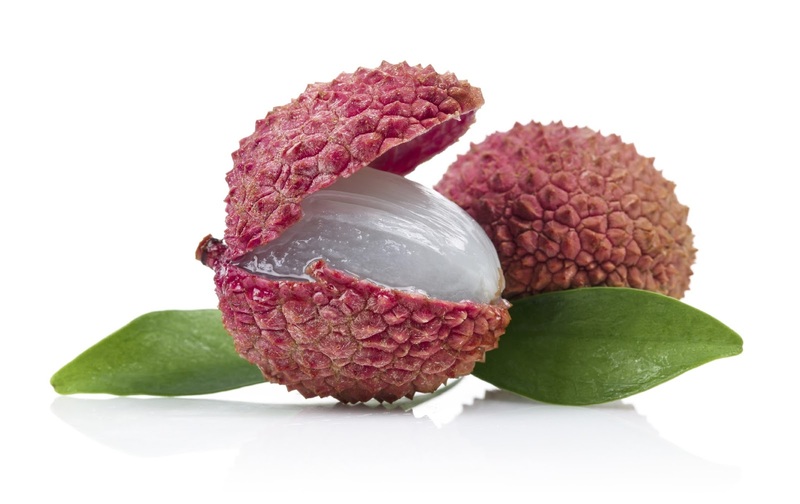 Lychee is a fun fruit for children to sample. Be sure and show them a picture of the whole fruit, too. The photo below shows the whole fruit and what the fruit looks inside the tough outer skin. Pick-up stones is a traditional Hmong game played by children as young as 4 years old. Here’s a video of Hmong children playing Pick-up Stones: Hmong Children’s Game. All you need to play Pick-up Stones is five stones and two players. There are 10 rounds to the game. In each round, a player picks up the five stones in a different combination. A player loses a turn if he or she drops a stone or makes a mistake. The first person to complete all 10 rounds wins. Here are examples of the first three rounds. First round: Throw stones on the ground. Toss one stone in the air. While it is in the air, pick up another stone. Continue until all four stones have been picked up. Second round: Throw stones on the ground. Toss one stone in the air. While it is in the air, pick up two stones. Repeat. Third round: Throw stones on the ground. Toss one stone in the air. Pick up three stones. Toss the stone up again and pick up the remaining stone. For more steps, check out the Five Stones web page. Although this page outlines only eight steps compared with 10 steps played in the Hmong version, it gives you a good idea of how the game is played. The video on this site is also very helpful as it explains each step. This is a good game to play with children over the age of four as it teaches counting, eye hand coordination, and following directions. Ten years ago, with his bestselling book Last Child in the Woods as a springboard, San Diego journalist Richard Louv and a handful of colleagues (including Mom Enough’s host Marti) founded the Children & Nature Network (C&NN). That organization has been a major leader in the movement to connect children and nature, a go-to place for information on research, community resources and opportunities to share ideas with people around the world. Now Rich has written a follow-up book, Vitamin N, zeroing in on concrete strategies for families, schools, healthcare organizations and communities. Tune into Rich’s conversation with Marti & Erin for inspiration and tips on what you can do to make sure your children and others in your community get the “vitamin N” they need! TUNE IN to the show HERE! In a typical week, how much time do your children spend outside and in what kinds of activities? Based on what you’ve heard from Richard Louv about the importance of “vitamin N,” do you think your children should spend more time connecting with nature? What would help? For the C&NN Research Library, click here. To take the Vitamin N Challenge, click here. For Family Nature Clubs and a free tool kit, click here. For a community forum to connect directly with other Family Nature Club families, click here. For the Every Kid in a Park program, click here. For Together in Nature: Pathways to a Strong, Closer Family, click here. What topics do you find most uncomfortable to discuss with your children? What did you find helpful in this Mom Enough discussion? For 4 Tips on How to Talk with Your Child about Difficult Topics, click here. For St. David’s Center, click here. For St. David’s Center’s Mental Health Services, click here. What questions or concerns do your children have about the weather? What helpful ideas did you get from this Mom Enough show with Belinda Jensen for addressing children’s worries and promoting their curiosity and learning? To learn more about Belinda’s books, click here. For Bel the Weather Girl experiments you can try at home, click here. Bam!Radio: Are You Close to Burnout?